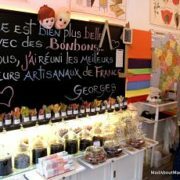 Want to avoid the Parisian tourist crowds and venture out of the city for something a bit different? 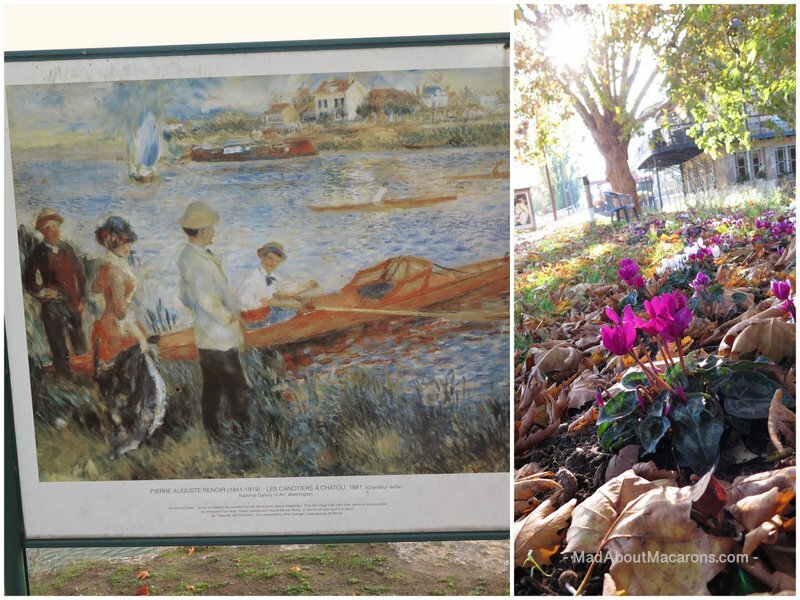 This Renoir Tour between Chatou and Carrieres-sur-Seine is a must walk along by the Seine when the weather is as beautiful as this – and expect a few surprises! 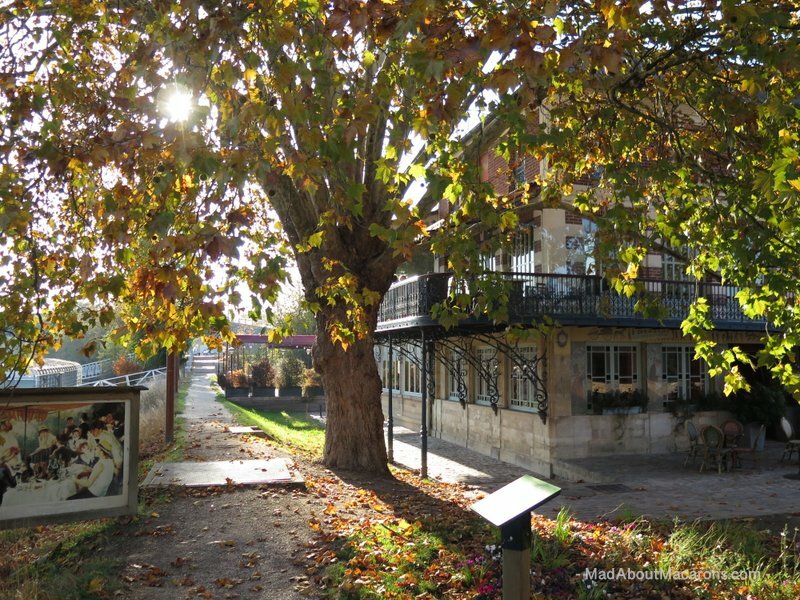 Only 10 km west of Paris, Chatou is remarkably quick to get to by express commuter train. 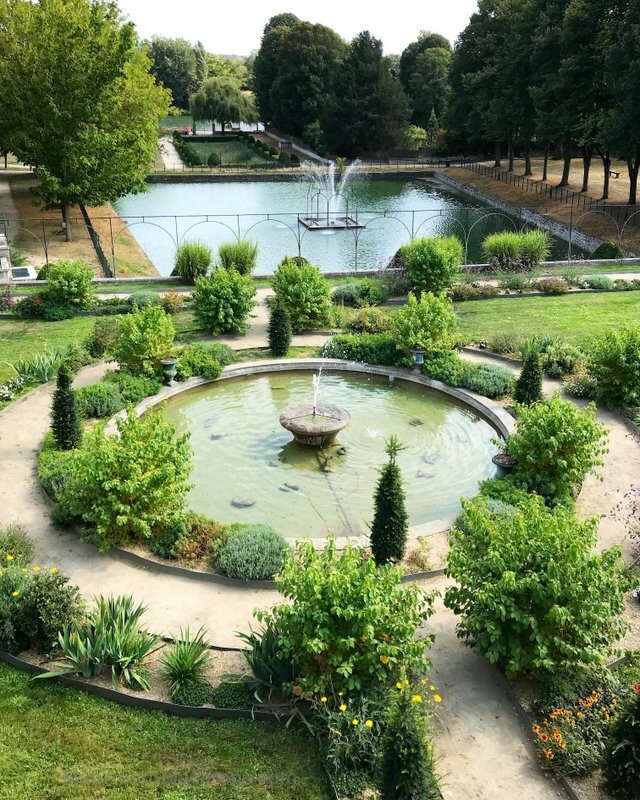 A few visitor friends from abroad have been surprised to discover that coming to les Yvelines is such a breath of fresh air. So, what’s better than taking one of the four Impressionists’ walks in the area, compiled by the Office de Tourism? 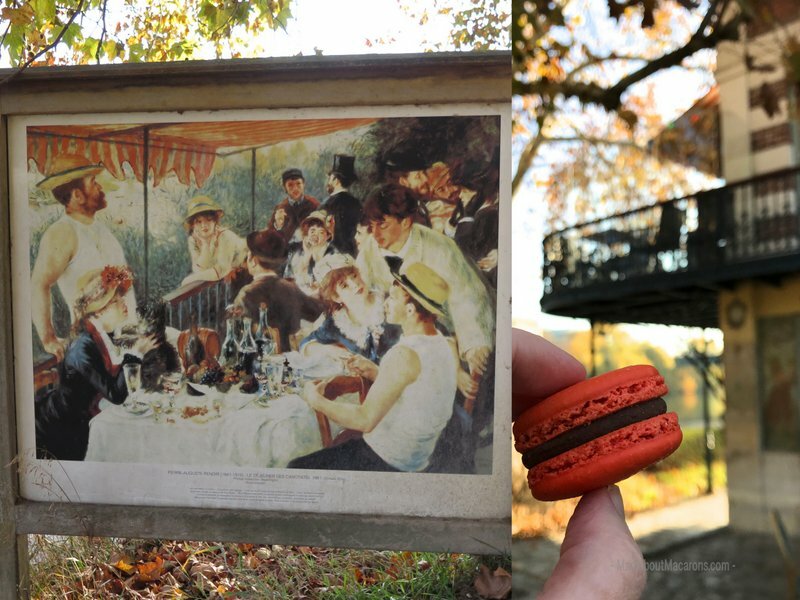 The Renoir Tour lasts about 1h30. Here’s our map at the ready so let’s do it together now. Sitting comfortably? 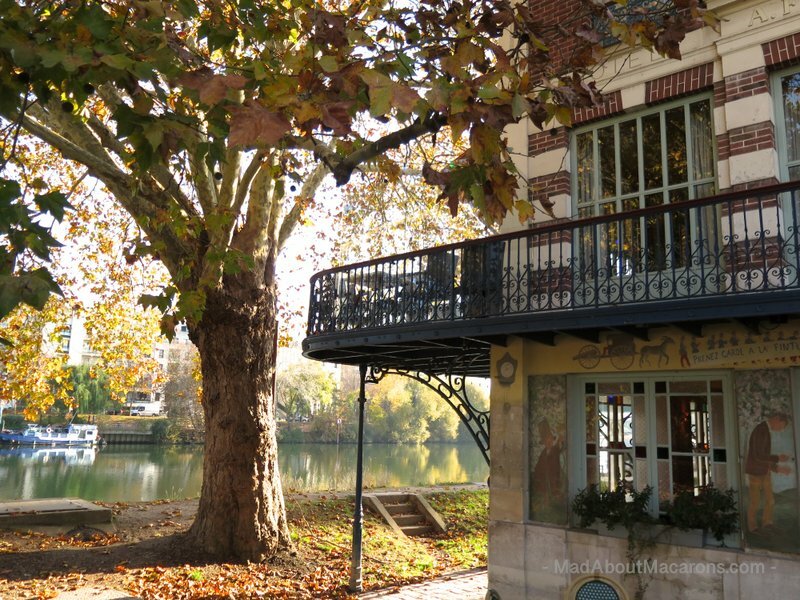 The Renoir Tour starts at the Hameau Fournaise, situated on the Impressionists’ Island on the Seine in Chatou looking over to Reuil Malmaison. There are a few buildings, notably the Fournaise Restaurant and Fournaise Museum. This houses temporary exhibitions and a permanent collection of what life resembled at the end of the 19th century. 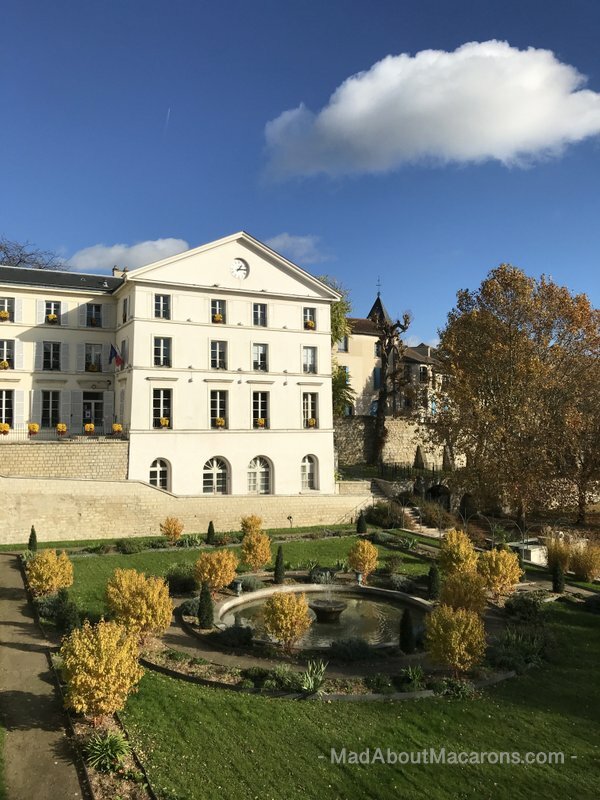 It’s a time when bourgeois Parisians and artists were attracted outside Paris by les Guingettes, the good life on the banks of the Seine – drinking, eating simple, hearty food and dancing – thanks to the new railway line that brought them to Chatou. Pierre-August Renoir was a regular at the Restaurant Fournaise in the summer, painting a few portraits of the owner’s daughter, Alphonsine. During the summer of 1879, it’s here that Renoir met Aline Charigot who became his wife. She figures in perhaps his most famous painting, “Le Déjeuneur des Canotiers”, painted in 1880. It never ceases to amaze me that Renoir and his friends were here. Here on that balcony under the orange-striped awnings. Each time I look up at it, it’s as if we can hear the laughter and the clinking of wine glasses echoing along the Seine. It doesn’t stop there. Just a few metres away is another billboard showing us the other Renoir masterpiece painted in 1881, “Les Canotiers à Chatou”. Next door, the boating workshop is worth a visit, as they prepare the same boats. Just smell the wood and the varnish! 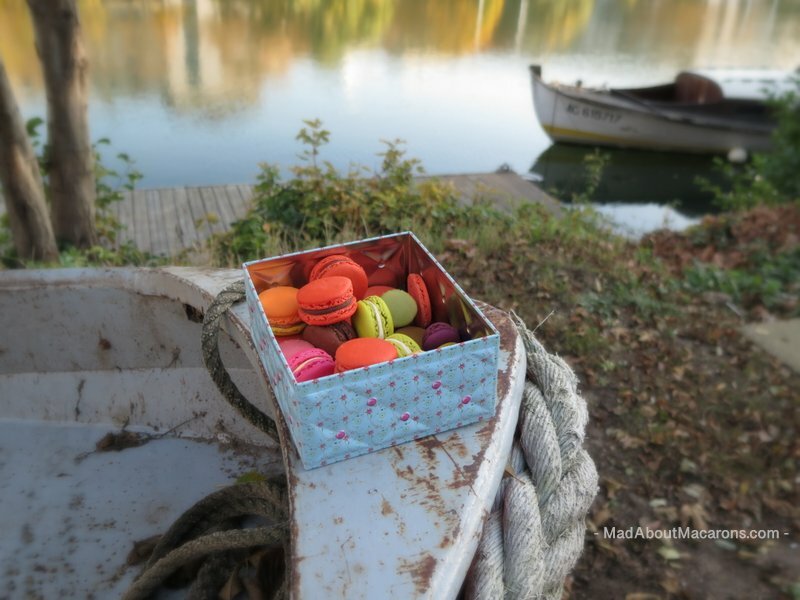 Sadly the restaurant doesn’t open for teatime so I tend to bring my own box of macarons with me! 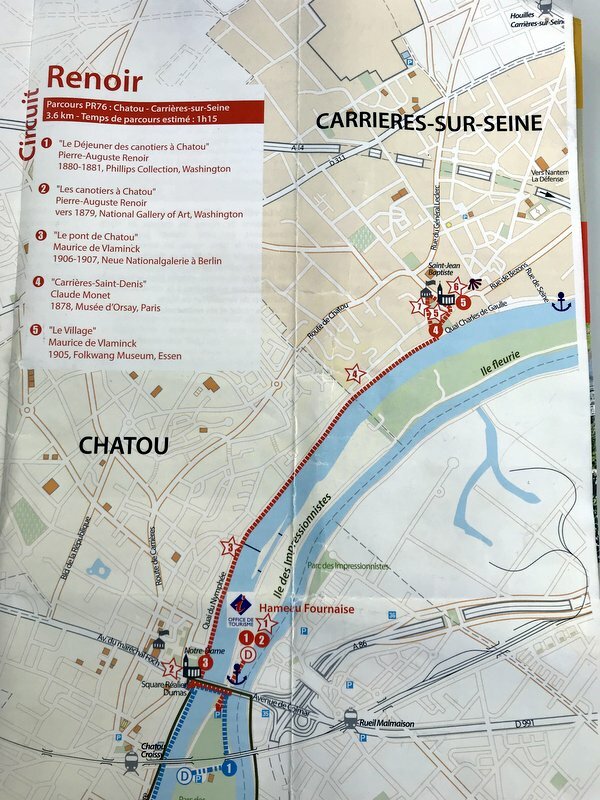 Now the actual 4km walk begins by crossing over the bridge, past Notre Dame church and a walk right down to the Seine along the pretty Quai du Nymphée. Pass the Barrage de Chatou, the hydroelectric dam. This feat of engineering was re-constructed in 2013. In the distance are the locks for the barge traffic plus a fish ladder. Keep your eyes out for some magnificent birds. Making the most of the glorious birch yellows and golds along the walk, the view over to the Impressionist Island includes the club-house of the 9-hole golf Ile Fleurie. 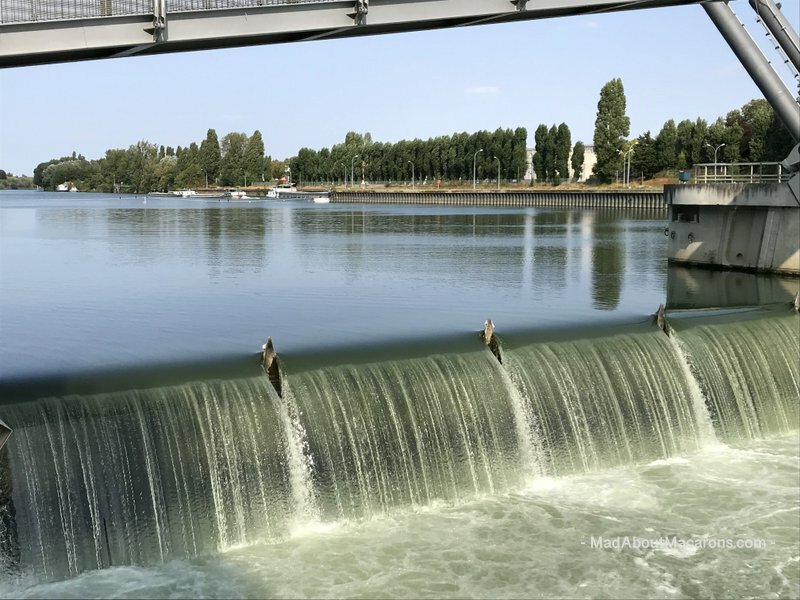 Thankfully the Seine levels have gone down since I was last there, as I tend to shoot most of my balls in the river! 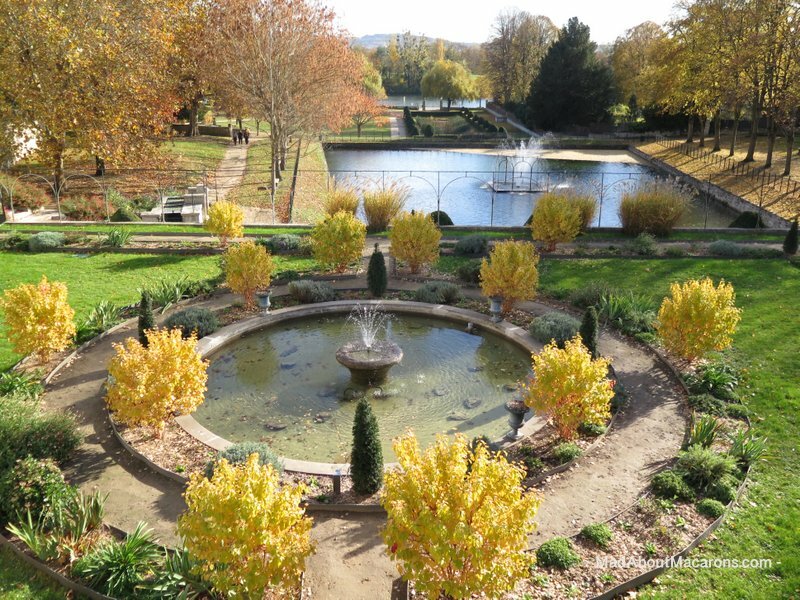 Turn left into the Parc de la Vallière, listed as one of the prettiest gardens in France. Designed by Le Nôtre, it took its name from Louis XIV’s favourite mistress, who stayed in Carrières-sur-Seine from 1661 for 9 years. 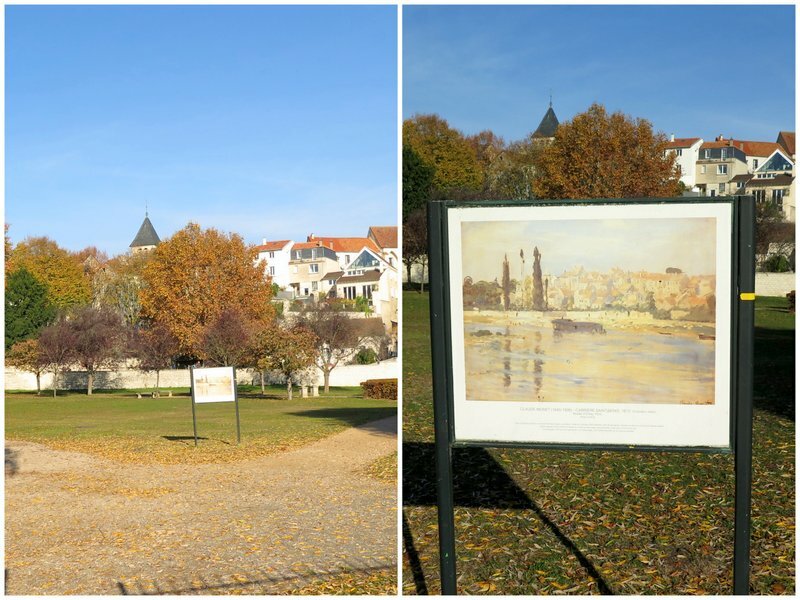 At the entrance to the park, is the billboard showing the exact location of Monet’s painting, Carrières-Saint-Denis (1878) in the Musée d’Orsay. 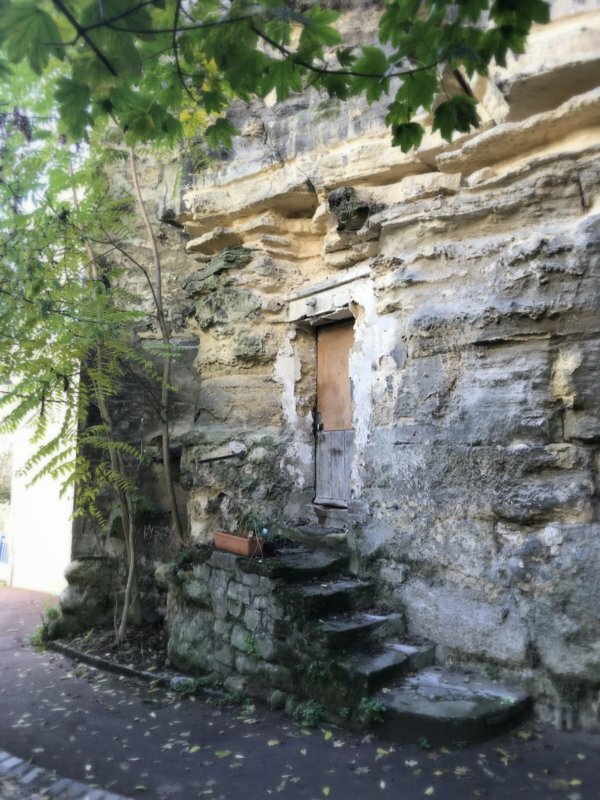 Carrières-sur-Seine was previously known as Carrières-Saint-Denis, as the rocks that were used to build the royal chapel of Saint-Denis came from Carrières. 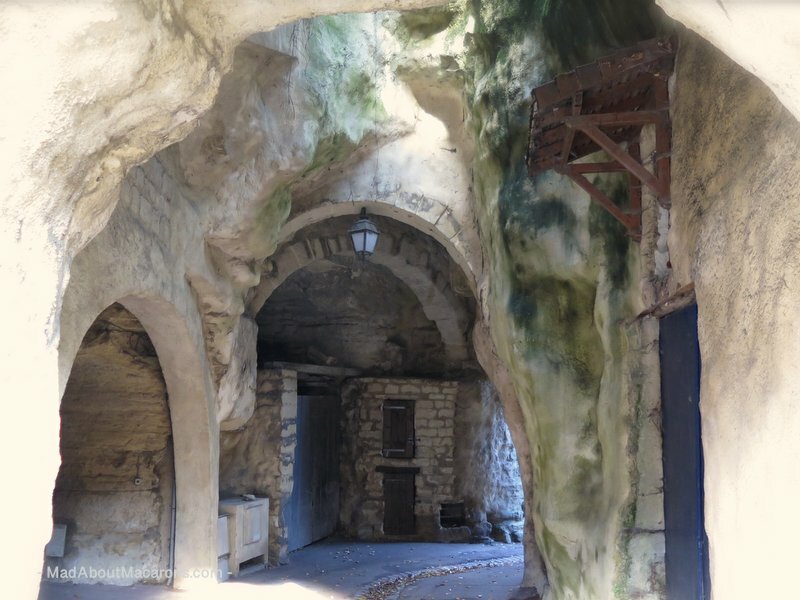 It’s possible to visit the Carrières, although this is currently only 3 times a year. Thankfully I took part in the visit very recently so I’ll post it soon before the next French tour. Why mushrooms? Because the carrières were also used as Champignonnières. 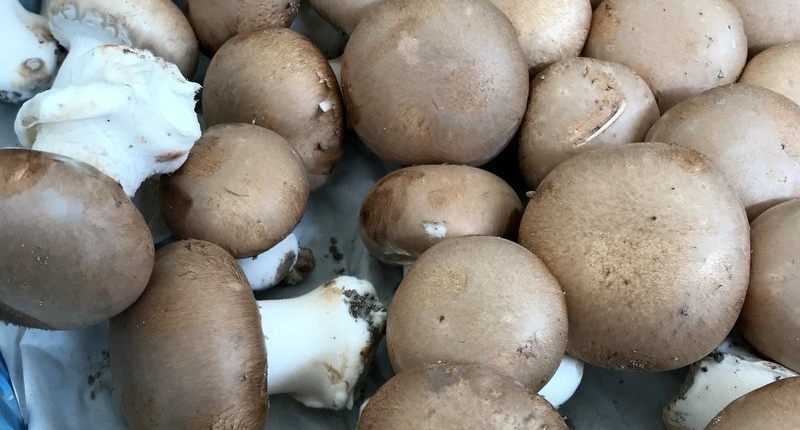 Caves are perfect for mushroom-growing and, although they don’t grow as many mushrooms here now, local mushroom producers are not far away and sell their excellent fresh champignons blonds, full of flavour, at our local markets in les Yvelines. Speaking of mushrooms, have you tried these recipes yet? 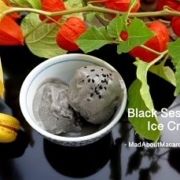 Mushroom Cappuccino, mushroom truffle savoury macaron filling, Blanquette de Veau? The majestic Mairie sits at the top of the park. 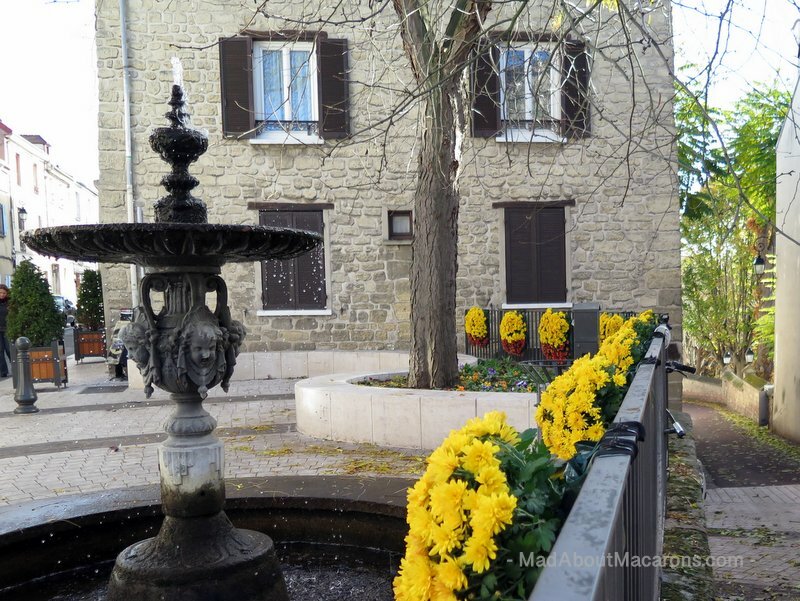 Incidentally, did you know that locals from Carrières are called Carillons (masculine) or Carillonnes (feminine), which translate into “Chimes” and “Ringing,” respectively. This is where this walk took on new meaning recently. 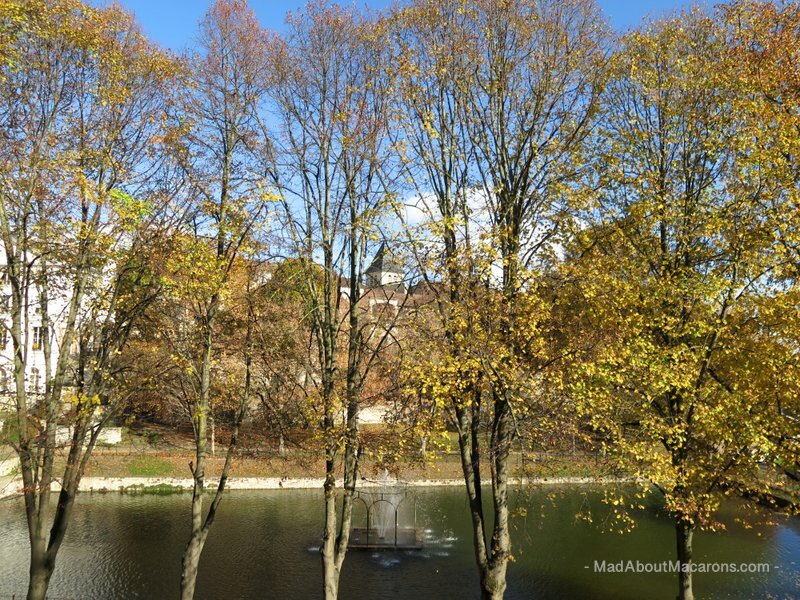 During a discussion with my friend, Emilie at the Saint-Germain Boucles-de-Seine Tourism office, I realised that for years I’d completely missed a little street just across from the park and the Mairie. 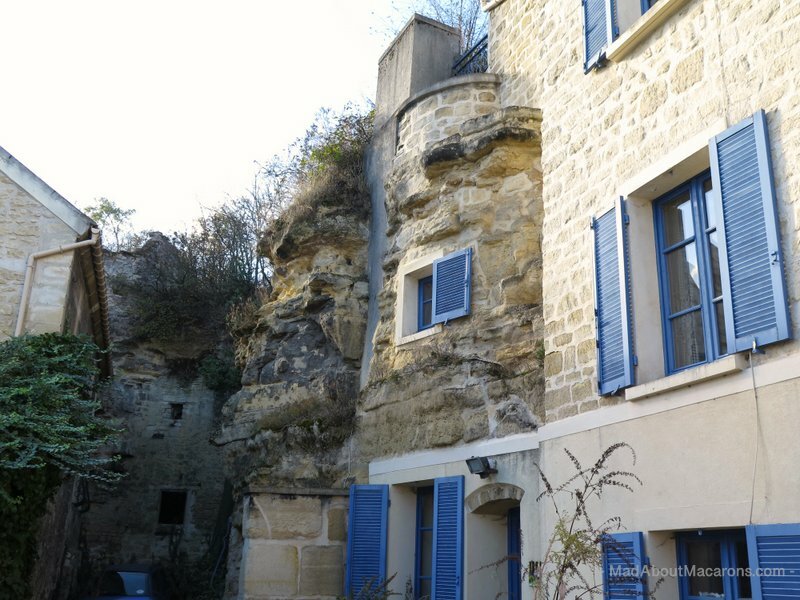 Follow the little lane of Rue Victor Hugo and the house at N°14 shows us a first glimpse of les maisons troglodytes, houses built into the limestone. Following the lane further emits a relatively spooky ambience. 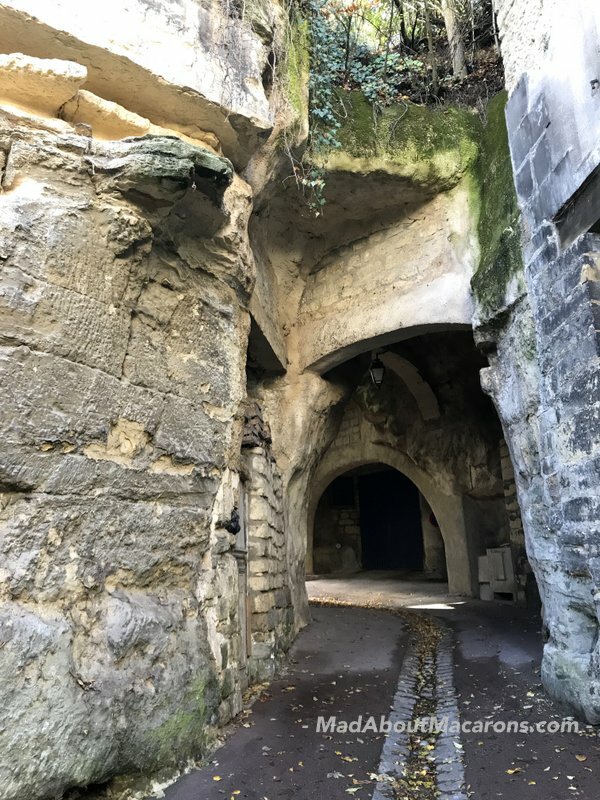 These mysterious caves echo Medieval times when the first habitants settled while looking for stone for the eventual gothic buildings constructed in Paris. I wonder if we can open that door? No doubt is has centuries of stories to tell. 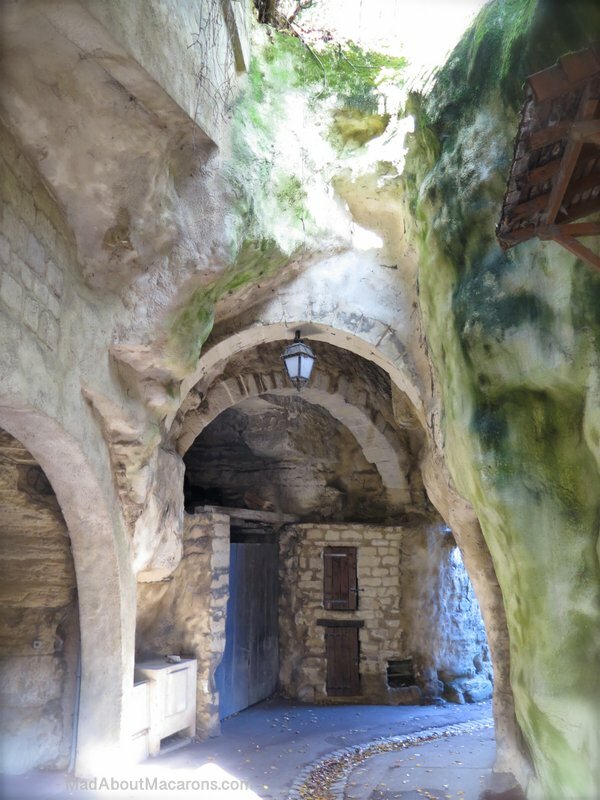 The curious built-in rock dwellings serve as cellars, caves, barns or garages. Just walking around, however, it’s not that obvious when everything is closed. Silent. Muffled. 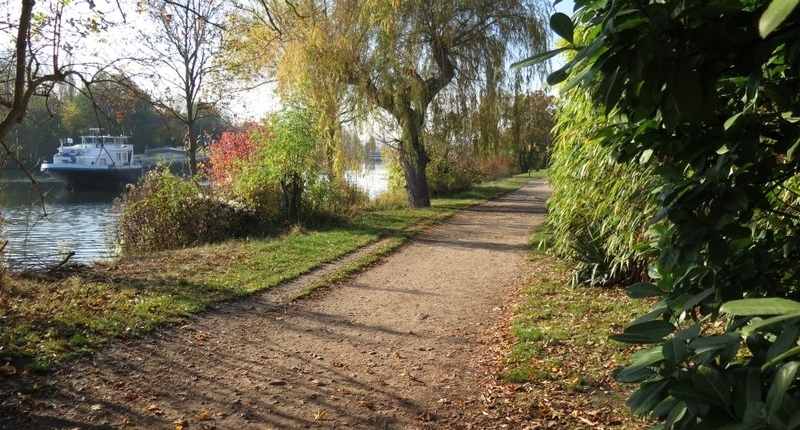 Imagine that this is just 10 km and about 20 minutes by train from central Paris? This is my kind of Disneyland. Further up the lane is private property but the view across to the Park from rue Victor Hugo is testament as to the Impressionists’ love for the area. 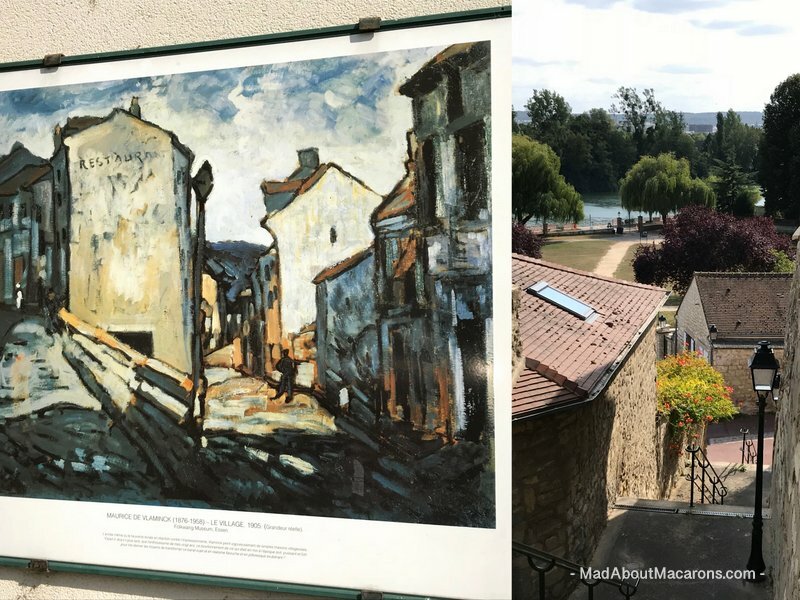 and at the top of the steps on Passage de Fanil is another billboard depicting “Le Village” painted by Maurice de Vlaminck. 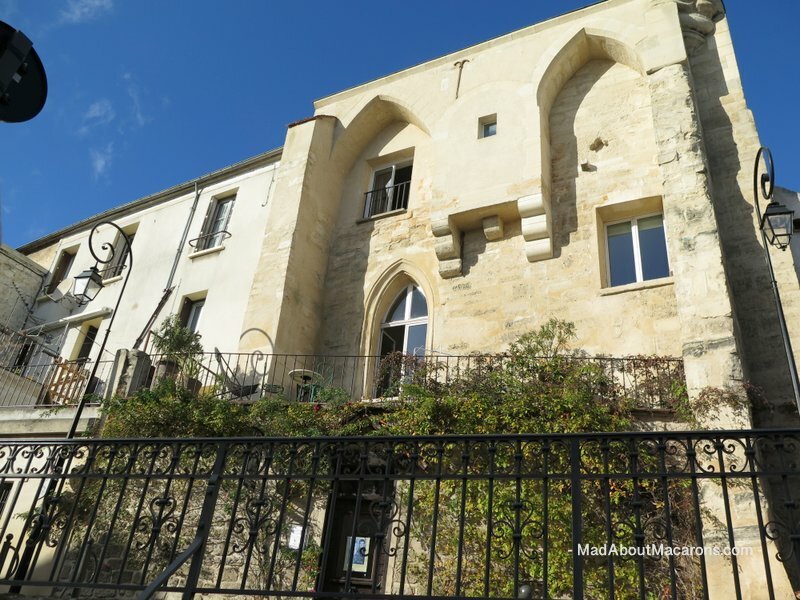 Just across the road is a renovated beauty, complete with rose-tangled balcony. Imagine the view over the Seine overlooking the west of Paris and La Défénse? 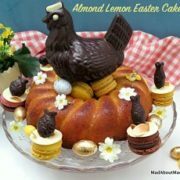 By this time I can imagine you’re peckish for a French teatime goûter? 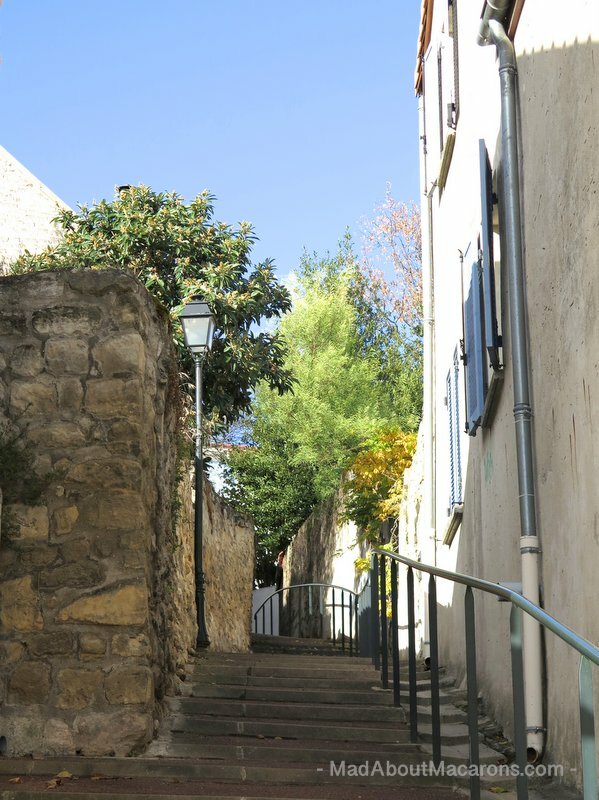 Venture up to the centre of the village, enjoying all the little lanes and steps. Simply follow the fragrances of chocolate, tarts, éclairs from Le Carillon Gourmand (Maison Boé). 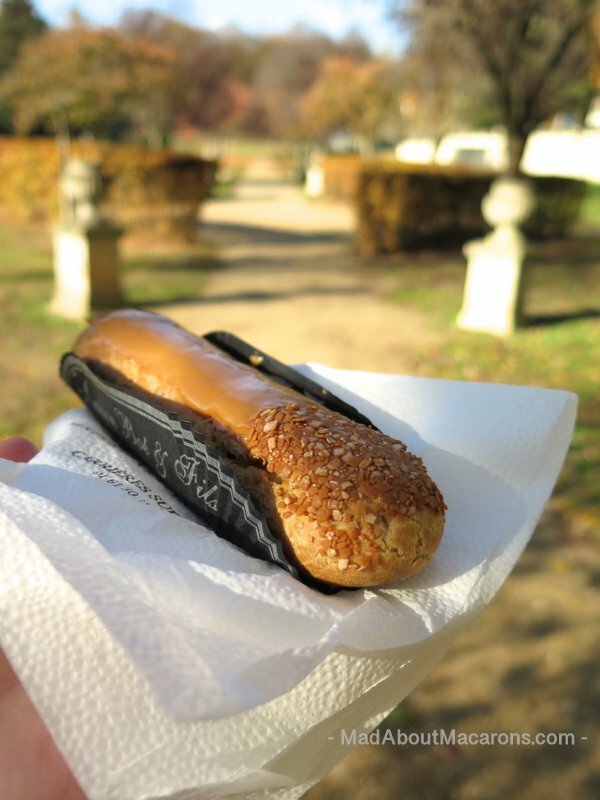 They make macarons just on the weekends so, for the sake of art, I took a coffee éclair (recipe in my book, Teatime in Paris) for you to enjoy in the park before returning back to Chatou. Follow that barge and continue back on the same walkway along by the Seine. RER Line A (red) from Paris to Chatou (direction Ouest, Saint-Germain-en-Laye). 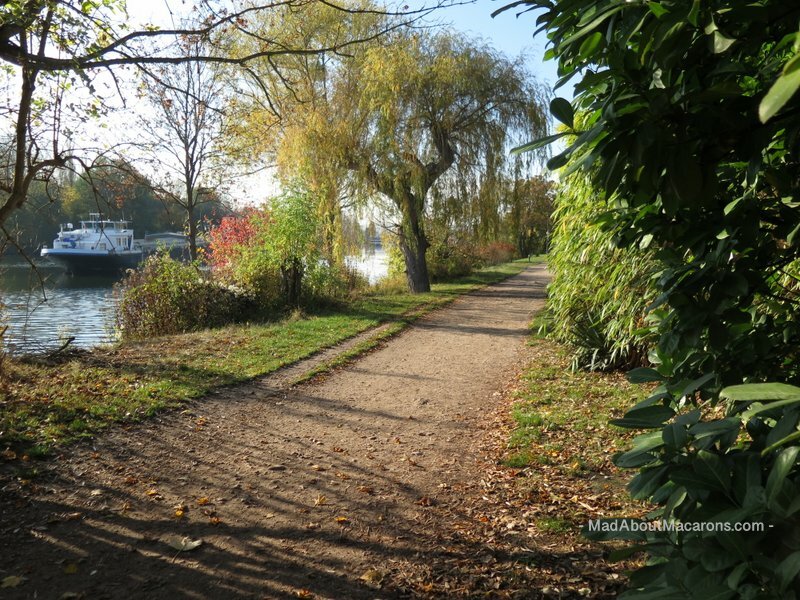 For more information on the area, boat rides on the Seine etc. 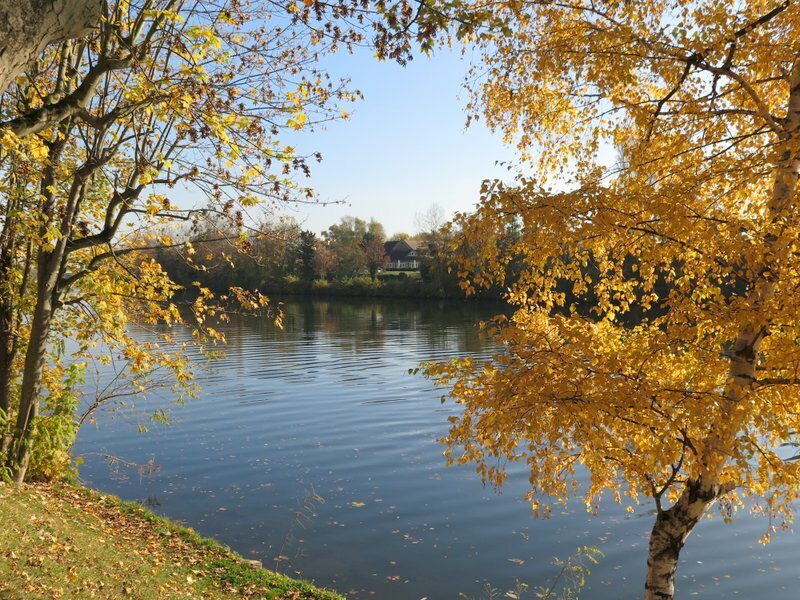 visit the Saint-Germain Boucles de Seine Tourism Office in Saint-Germain-en-Laye. 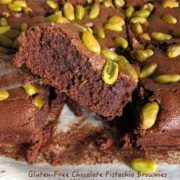 Pin me for later – or keep this a secret! I would love going here. Beautiful! Stay tuned, Marilyn, as I’ll be posting about the other 3 wonderful walks nearby. Brilliant! I would absolutely adore this walk! I remember you pointing out Restaurant Fournaise when I was there. 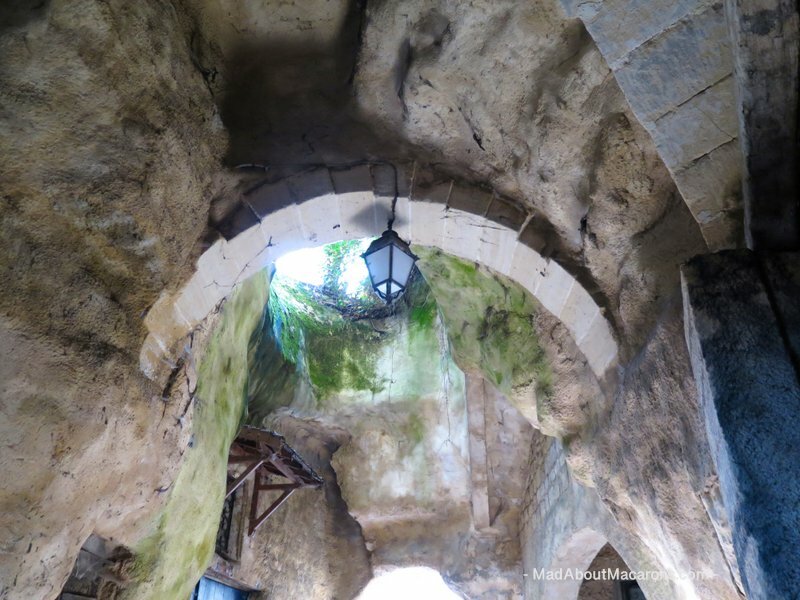 The caves are incredible and your photo with the macarons is just lovely! You should frame that one, Jill! I’m just catching up after being out of touch the past few weeks! Hehe you remembered that? That’s cool. The kids always mock me when we drive over the Pont de Chatou from Paris, as I always look over at it and say “I love where we live”. Now, if I don’t say it – they chorus it out loud in the back of the car! What a fascinating blog post, Jill! You know that I can completely appreciate how much history there must be to such unique and beautiful structures like this! Love photos and lots of research here! Thank you so much for sharing with us!! It’s a real pleasure, Betty. Thanks for coming here to join me. What a lovely place! The artist walks sound right up my street, will certainly bear this in mind. You’d love them. Dying to show you the rest, Janice. The photos are beautiful! Thanks for sharing them! It’s a real joy to share the area through my photos, William. Thanks for popping by. 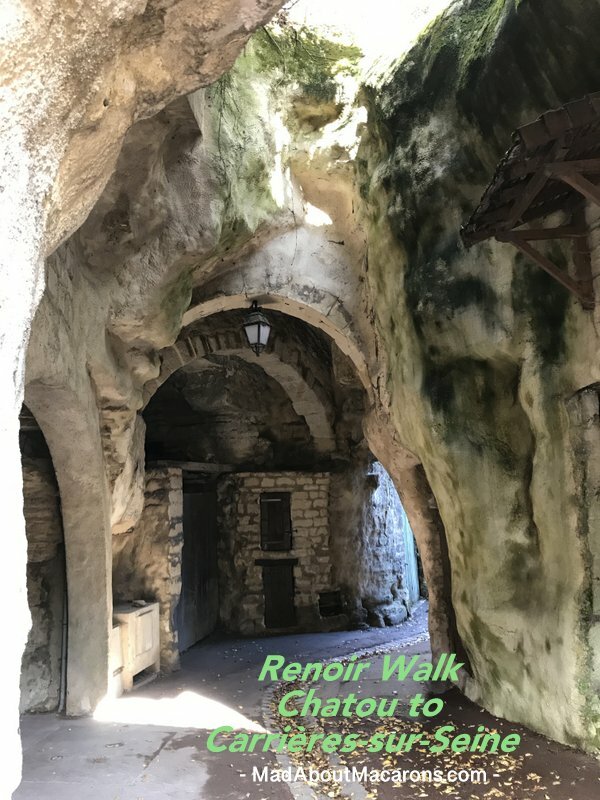 Thank you so much Jill for the Renoir Tour – it looks amazing and the caves look really something out of the ordinary and so close to the hustle and bustle of Paris. I feel I would really like to do this very tour in the springtime. 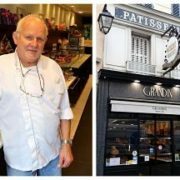 This blog is much easier to read than the guidebooks because I feel you are taking me there and giving me the benefit of your experience. Well it’s the greatest pleasure to receive a comment like this, Thomasina. Thank you. So happy to share a bit of my world. Hope you come in the Spring to do this beautiful walk. Just beautiful. You are so lucky to live in Paris! Thanks Mimi. I know we’re very lucky. We actually live outside of Paris in this area of the Yvelines, just next to Saint-Germain-en-Laye. If you get the chance to visit, please do since it’s a beautiful mini Paris!